New 30 second spots running statewide. In ‘Ask,’ Tony lays out the contrast in this race on issues from schools to taxes to health care and makes his pitch directly to Wisconsin voters. He asks for their vote, “because after eight years it’s time for change.” ‘Momentum’ highlights Tony’s growing support from communities and opinion leaders across Wisconsin and emphasizes his experience, integrity, and plans for Wisconsin. These 30 second spots will run statewide in the closing week of the election on cable, broadcast, and digital. "Ask" can be viewed here, and a full transcript is below. Wisconsin has a big choice in this election. Scott Walker does what’s best for himself, and his donors. Playing politics with our schools and our health care. As governor, I’ll put you first. I’ll invest in our schools. I’ll cut taxes for middle class families by ten percent. I’ll protect those with pre-existing conditions and hold down the cost of health care. I’m Tony Evers, I’m asking for your vote because after eight years it’s time for change. "Momentum" can be viewed here, and a full transcript is below. People are coming together to support Tony Evers for governor. Newspapers say Tony has the kind of experience we need. The integrity to renew Wisconsin. 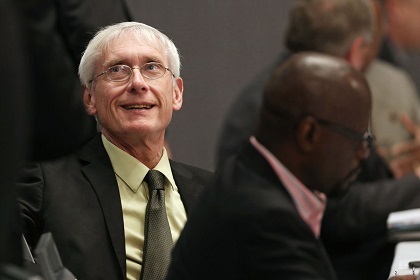 Former Walker appointees are now backing Tony Evers. Because Tony won’t play politics with our state. Wisconsin nurses say Evers has the best plan to bring change and access to quality, affordable health care. Tony Evers. It’s time for a change, and a governor who cares about us.